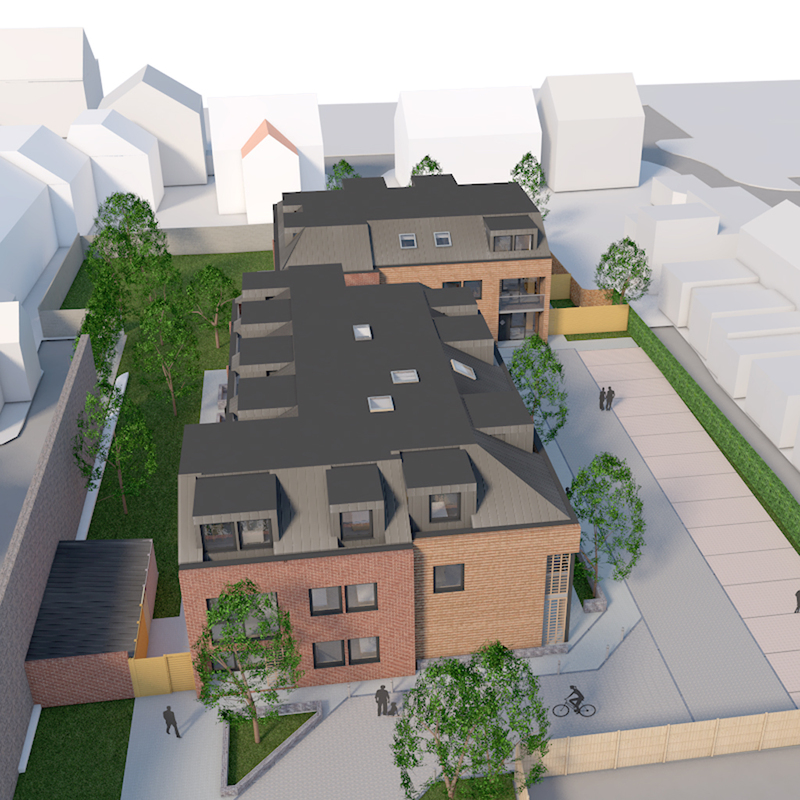 Following on from a series of consultation events and intensive dialogue with local planning officers, a scheme for the redevelopment of the former corporation yard on Garston Old road in Liverpool,has been granted full planning permission, allowing for its redevelopment to provide 27 new affordable shared ownership properties. These new Homes, for Liverpool Mutual Homes – now part of the Torus 62 group, will provide much needed sustainable housing stock to the south Liverpool area and consolidate Liverpool Mutual Homes’ property portfolio in South Liverpool. Addressing the constrained nature of the site and its condition after years of light industrial use, John Mccall Architects have created a low level residential scheme which includes references to the site’s industrial heritage in the materiality of the buildings. The layout also seeks to create a community among the residents, by the provision of high quality shared outdoor spaces. The 27 apartment scheme will provide a variety of apartment types with those on the ground floors having individual front doors to give active use to all elevations of the building. Upper floor Apartments will benefit from shared access and incorporate balcony and terrace spaces, with the 2nd floor apartments being constructed to take advantage of the interesting geometries available within the roof space to provide unique apartments featuring eaves storage and skylight detailing.